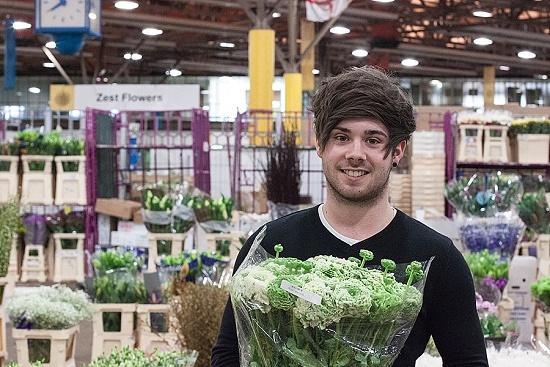 2015 has turned out to be a momentous year for Graeme Diplock and his team at Zest Flowers. In June, Graeme was on stage at the FPC Fresh Awards to collect the Wholesale Floral Supplier of the Year Award. 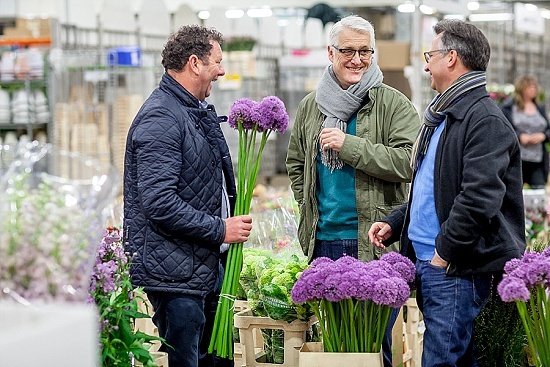 Now six months on, Zest Flowers have scooped the coveted title of Flower Market Wholesaler of the Year 2015, awarded by customers and an expert judging panel. "It's been an excellent year for us," says Graeme Diplock. "It's been a great boost and a great advertisement for us all over the industry. We have gained more customers and really established ourselves." 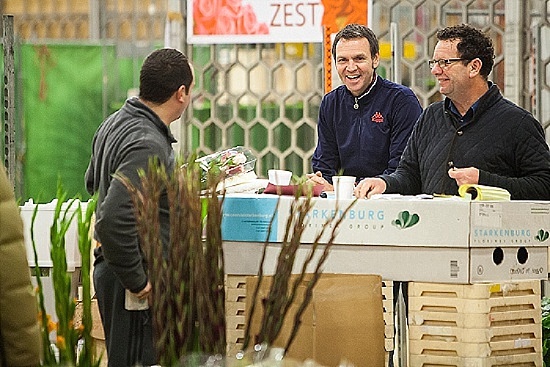 Stocked with a strong, wide range of fresh, superb quality flowers every day of the week, Zest Flowers is clearly drawing in new business and working closely with longer-term customers as they grow. There is a definite buzz around the stand and customers cannot speak highly enough of their customer service. The stunning flowers on Zest's stand come from all over the world. Recently, however, Graeme has been receiving particular attention for his select range of British lines. 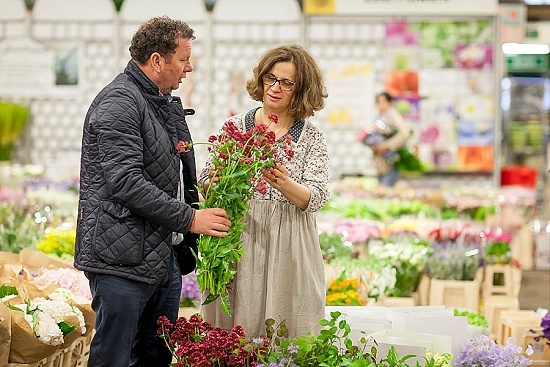 "I am a big, big fan of British flowers and have always tried to promote British. It's a changing market. We used to have them in bulk, but now we are more selective and have a wider range of more unusual flowers. We work exclusively with a Hampshire grower, who grows amazing things. People love them." Graeme puts the current success down to his team. "I have some great, brilliant staff. They are always helpful to customers - grumpy just towards me!" laughs Graeme. In fact, Graeme has an eye for recruiting expert and experienced salesmen. "There's Punchy (real name Terry! ), who I've known since I first came to the Market 26 years ago; Terry Barry who's a great salesman; Tony, my right-hand man; Barry Johnson; Bob the night-man who sets the stand up for us and, of course, Eric the Legend!" "My stepson, Luke, has started working for me. He's bringing in the young ladies that don't come and talk to us older ones! And we now have Charlie, a young kid that we are bringing on, and who keeps the stand looking tidy even when we're really busy." Behind the scenes in the all-important administration and book-keeping role is Kathy, Graeme's wife and whom Graeme describes as "the best person ever". Graeme did not start his life in flowers. "I used to be a jockey," reveals Graeme. "The bloke I used to ride for owned a stand at the Flower Market. When I busted my shoulder in a bad fall, he said that if I couldn't get work back to racing again, I could come and work on his stand in the Flower Market." Six months later, Graeme started work on Fyffes Monro, the second biggest trader in the Market at that time. "It was a massive shock," says Graeme. "But from day one I loved it. I loved the buzz." After many years of valuable experience working for others and acquiring vital knowledge about the industry, Graeme finally decided to strike out on his own in 2002. It was Kathy who struck upon the name of Zest Flowers. "Kathy literally sat down with a dictionary and started to work through it. After a while - and losing patience - she flicked through and landed on the word 'zest'! It worked!" 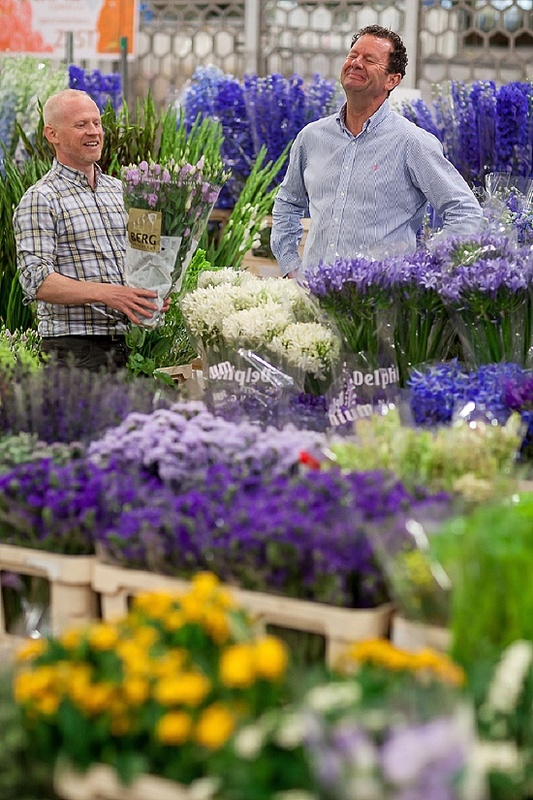 Congratulations to Zest Flowers, Flower Market Wholesaler of the Year 2015!